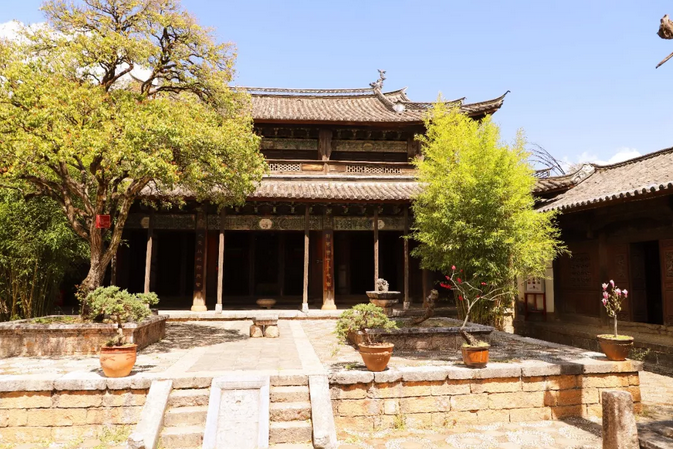 Located in northwest Yunnan’s Lijiang, the Baisha ancient town was once the local political, economic and cultural center before the Song Dynasty(960-1279). Sitting at the foot of the Jade Dragon Mountain, the ancient town is a place where tourists can enjoy the tranquil and leisure life. 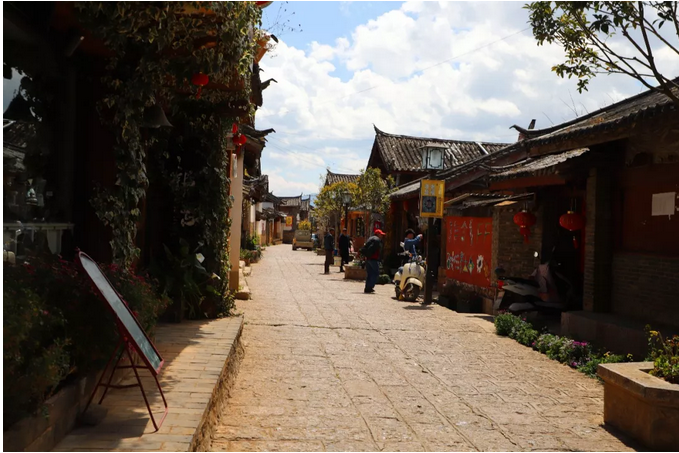 Unlike the Dayan ancient town, Baisha is less affected by modern business and local people still live life in traditional ways. In the morning, elders sit at both sides of the street, selling vegetables while chatting. For them, doing business is less important than the getting-together of old friends. Making tie-dying is the most famous craftsmanship in Baisha. Wherever you go, you will see tie-dyed cloths dried in the sunshine. The tradition provides channel to increase local’s income. Now it has been put on the list of national intangible cultural heritage. 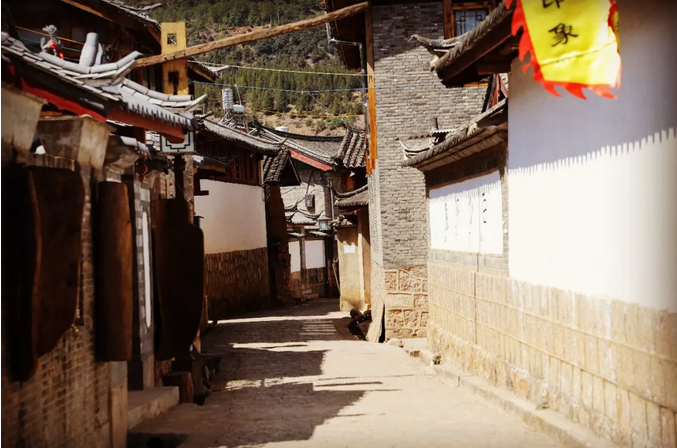 In Baisha, traditional Naxi houses stand side by side and are well preserved. Though the hosts may make inner decorations, the overall styles have never been changed. 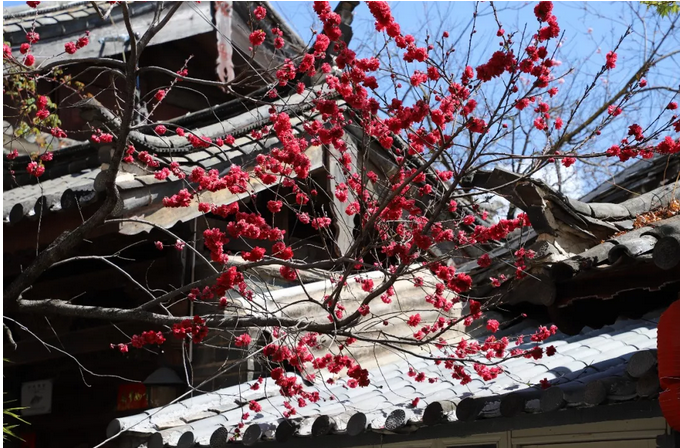 Buying a cup of home-brewed yogurt at a local café, listening to the songs of birds, walking in the streets with crumbling walls on both sides, you may feel that the time stops in the Baisha ancient town.